A special meeting of the Brooklyn Ethical Association with an address by Swami Vivekananda, the Hindu monk as the main feature, was held at the Pouch Gallery, of Clinton avenue, last night. "Some customs of the Hindus what they mean, and how they are misinterpreted," was the subject treated. A large throng of people filled the spacious gallery. 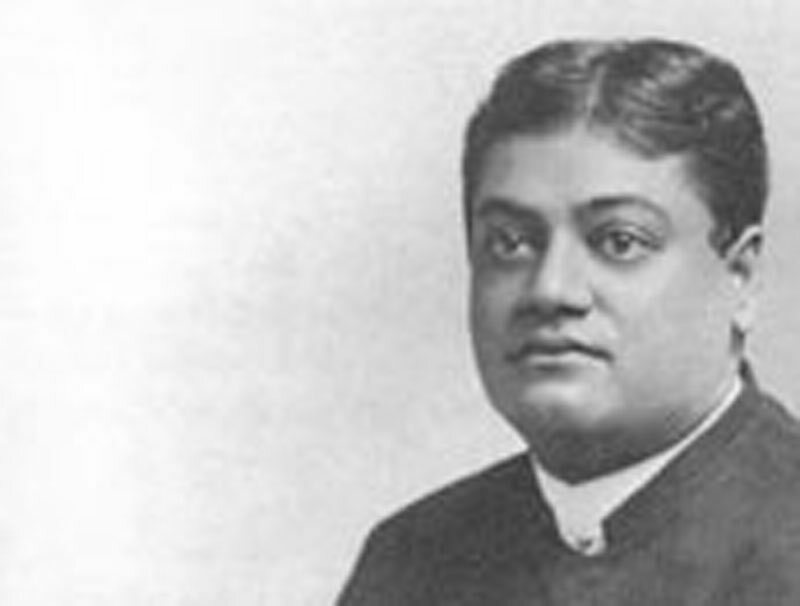 Dressed in his Oriental costume, his eyes bright, and a flush mantling his face, Swami Vivekananda started to tell of his people, of his country, and its customs. He desired only that justice be shown to him and to his. In the beginning of his discourse he said he would give a general idea of India. He said it was not a country but a continent; that erroneous ideas had been promulgated by travellers who had never seen the country. He said that there were nine separate languages spoken and over 100 different dialects. He spoke severely of those who wrote about his country, and said their brains were addled by superstition, and that they had an idea that everyone outside of the pale of their own religion was a horrible blackguard. One of the customs that had often been misinterpreted was the brushing of the teeth by the Hindus. They never put hair or skin in their mouths, but use a plant. "Hence a man wrote," said the speaker, "that the Hindus get up early in the morning and swallow a plant." He said the [custom of widows throwing themselves under the] car of juggernaut did not exist, never had, and that no one knew how such a story started. Swami Vivekananda's talk on caste was most comprehensive and interesting. He said it was not a granted [graded] system of classes, but that each caste thought itself to be superior to all the others. He said it was a trade guild and not a religious institution. He said that it had been in existence from time immemorial, and explained how at first only certain rights were hereditary, but how afterward the ties were bound closer, and intermarriage and eating and drinking were restricted to each caste. The speaker told of the effect that the mere presence of a Christian or Mohammedan would have on a Hindu household. He said that it was veritable pollution for a white man to step into a Hindu's presence, and that after receiving one outside of his religion, the Hindu always took a bath. The Hindu monk abused [?] the order of the Pariahs roundly, saying they did all the menial work, ate carrion and were the scavengers. He also said that the people who wrote books on India came only into contact with these people, and not with genuine Hindus. He described the trial of one who broke the rules of caste, and said that the only punishment inflicted was the refusal of the particular caste to intermarry or drink or eat with him or his children. All other ideas were erroneous. In explaining the defects of caste, the speaker said that in preventing competition it produced stagnation, and completely blocked the progress of the people. He said that in taking away brutality it stopped social improvements. In checking competition it increased population. In its favor, he said, were the facts that it was the only ideal of equality and fraternity. That money had nothing to do with social standing in the caste. All were equal. He said that the fault of all the great reformers was that they thought caste was due only to religious representation, instead of ascribing it to the right source, namely, the curious social conditions. He spoke very bitterly of the attempts of the English and Mohammedans to civilize the country by the bayonet and fire and sword. He said that to abolish caste one must change the social conditions completely ant destroy the entire economic system of the country. Better, he said, that the waves of the [Bay of] Bengal flow and drown all rather than this. English civilization was composed of the three "B's" — Bible, bayonet, and brandy. "That is civilization, and it has been carried to such an extent that the average income of a Hindu is 50 cents a month. Russia is outside, saying. 'Let's civilize a little,' and England goes on and on." The monk grew excited as he walked up and down, talking rapidly about the way the Hindus had been treated. He scored the foreign educated Hindus, and described their return to their native land, "full of champagne and new ideas". He said that child-marriage was bad, because the West said so, and that the mother-in-law could torture her daughter-in-law with impunity, as the son could not interfere. He said that the foreigners took every opportunity to abuse the heathen, because they had so many evils of their own that they wanted to cover them up. He said that each nation must work out its own salvation, and that no one else could solve its problems. In speaking of India's benefactors he asked whether America had ever heard of David Herr [Hare], who established the first college for women, and who had devoted so much of his life to education. "It matters not as long as India is true to herself and to her religion. But a blow has been struck at her heart by this awful godless West when she sends hypocrisy and atheism into her midst. Instead of sending bushels of abuses, carloads of vituperation and shiploads of condemnations, let an endless stream of love go forth. Let us all be men"